Growing up school clothes shopping was always one of my favorite parts of the upcoming school year. While the supplies were fun too, it was by far, way more fun to get a few more outfits. 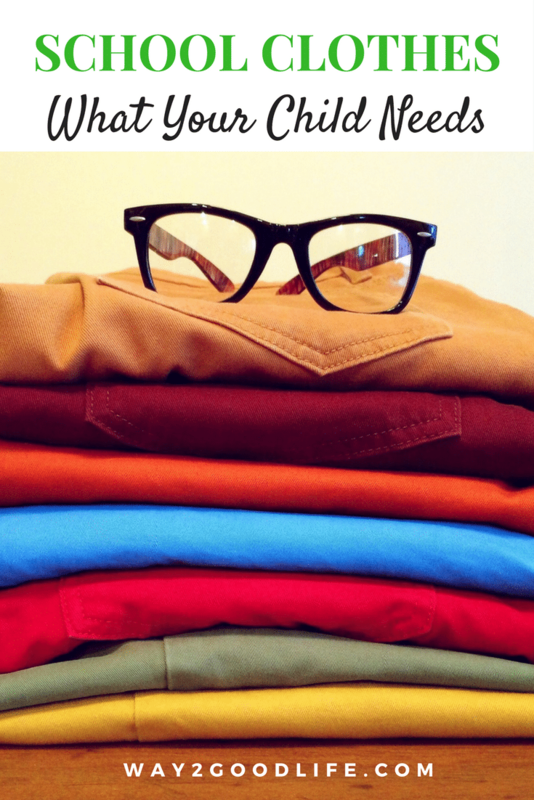 While school clothes shopping isn’t for everyone, there are a few pieces of clothes that every kid needs when going back to school. A few new shirts will help spruce up their wardrobe. I find it best to get a couple of short sleeves to get through the warmer months at the beginning of the year. A couple of long sleeves for the milder months and a couple of sweatshirts to help layer in the cooler months. Since it is still pretty warm when school starts, a single pair of shorts should be enough to get through in combination with what they already have. It cools off fairly quickly once school starts and most of the school year is during the cooler months so I would suggest a couple of pairs of pants. One of them I typically buy a nicer pair of pants for things like picture day and a more relaxed pair that is better for playing in. Kids seem to go through pants pretty quickly so updating the worn out ones should get you through a good portion of the year. That is until they have a growth spurt anyway. For some reason, socks are always forgotten about in our house. I remember all the other things I should get but, for the life of me I cannot remember to get my kid’s new socks. When do I remember? I remember when my kids tell me that their socks don’t fit right or, I notice socks are looking especially small when I am doing laundry. If I’m totally honest here, it is mostly when I notice that they are looking pretty small and I honestly cannot remember the last time I bought anyone socks. So, do yourself a favor and add them to the back to school shopping list. While shoes aren’t exactly “clothing” I make it a point to grab a new pair during school shopping. It seems as though kids go through shoes faster than anything else (if that is possible). Even if their current shoes fit them, it won’t be long before they outgrow them. I think it is pretty common to hear “by the way Mom I think my shoes are too small” when they are getting ready to head out the door for school. So, while you are out shopping, grab a pair of shoes that are a size or a size and a half too big. This way when they tell you at the last minute that their shoes are too small, you have a backup plan ready to go. No need to panic or, make an unplanned trip to the store. By grabbing these few essentials your kids should (mostly) be set for the school year. So, add them to your back to school list and get a jump start on the last minute shopping trips. Making a list of these school clothes every kid needs will help keep your budget low while also keeping them ready for school to begin!